I always feel a little peculiar talking about anxiety, especially on my blog. However, at the end of 2016 I made a conscious decision to re brand my blog and to blog for me. I've suffered with on/off anxiety since I was a teenager, but over the years I have crafted ways that are effective in helping me to deal with it when it bares its ugly head. Anxiety is definitely not something to be ashamed of and at some point most people will experience anxious feelings that is just human nature. I've decided to share a bit of a personal story today on one of the most effective ways that I have personally found to deal with anxiety. My number one tip to overcome anxiety is to simply accept it. Trying to fight it can be extremely counteractive and actually leave you in a worse state, which has been the case for me personally. Over the years I've invested a lot of time in self-help, which has worked wonders in easing my anxiety when it decides to arise. My skincare routine has been an absolute saviour and I believe that it's the routine element, which shifts my focus from anxious thoughts to a more processed way of thinking. My skincare routine gives me a chance to focus solely on myself and to invest in a bit of self love. I carefully think about each step and how the product I'm using work together. I also take the time to notice different textures and scents, which makes the whole routine extremely mindful. 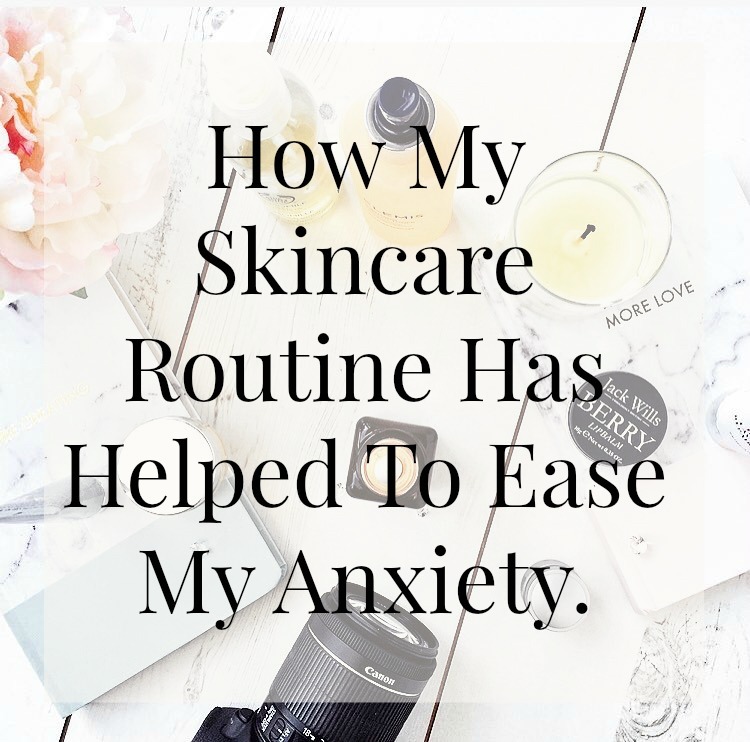 Not only is it a great way to ease anxiety, but your skin is getting a treat too! When I'm feeling particularly stressed, I will light one of my favourite candles (Currently my Amethyst Candle from @Myhabilitation) and put on my Himalayan rock lamp whilst I begin my skincare routine. I tend to use products that have a relaxing scent to help create a soothing atmosphere, such as the Elemis Pro Collagen Cleansing Balm and I also treat myself to a face mask, whilst playing a relaxing track from Youtube. Do you suffer with anxiety, if so what are your favourite ways to help ease it? Thanks Hannah! It really does work for me & hope it might for others too.. Totally agree Laura! You need a salt rock lamp =] They're awesome! !